Shooting Death Of Chicago Teen Ignites Outrage, Enters National Gun Debate : The Two-Way Fifteen-year-old Hadiya Pendleton was shot and killed less than a mile from President Obama's home in Chicago. A week before, she and others in her school's band had been in Washington during the inaugural festivities. Now, her death is part of the discussion about gun laws. 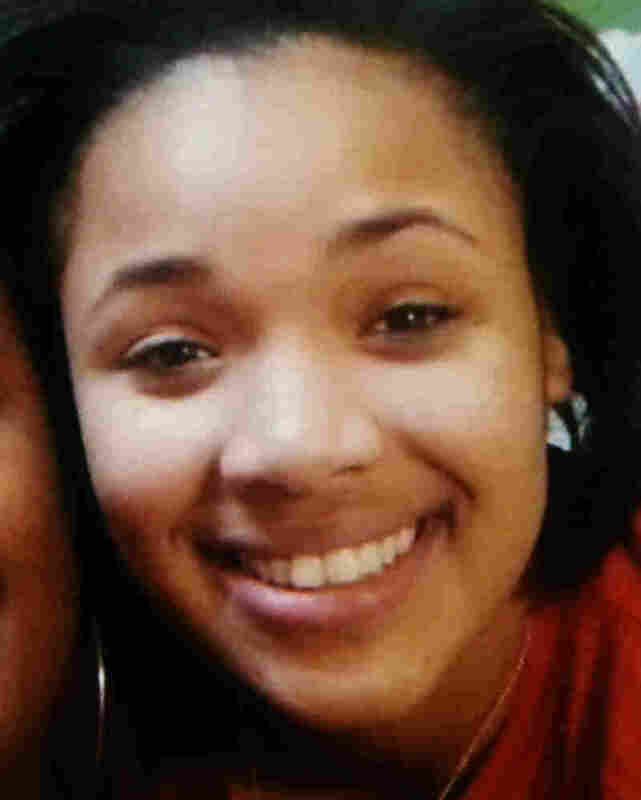 Hadiya Pendleton's shooting death Tuesday in a park just a mile from President Obama's home in Chicago has generated outrage "from City Hall to the White House" and is now part of the "national debate over guns and crime," The Chicago Tribune writes. As NPR's Cheryl Corley reported on Morning Edition, 15-year-old Hadiya "was an honor roll student, a volleyball player ... and a majorette with the King College Prep band." She and her bandmates had traveled east earlier this month to take part in the Presidential Inauguration Heritage Music Festival — a competition for bands from around the nation that was held near Washington. ABC News says the band also performed "during an inaugural brunch event at Howard University" in Washington. The Chicago Sun-Times adds that Hadiya and others in the band also "attended the president's inauguration" presumably along with the hundreds of thousands of others who packed Washington's National Mall. Tuesday, Hadiya was among a group of teens gathered in a park when someone opened fire. She was shot once in the back, Cheryl reports, and later died. Two other students were wounded. Chicago police think the shooter may have thought the young people were part of a rival gang — though there's no indication any of the kids were in a gang. Now, Hadiya's death has prompted the White House to say that President Obama and the first lady are praying for her family. At Wednesday's Senate hearing on gun violence, her death came up when Sen. Richard Durbin, D-Ill., said of Hadiya that "yesterday, in a rainstorm after school she raced to a shelter. A gunman came in and shot her dead. Just a matter of days after the happiest day of her life [being part of the inauguration festival] she's gone." Obama, during an interview with Telemundo, addressed Hadiya's death by talking about how "a huge proportion" of the guns that have been used in Chicago shootings come from outside the city. "Pockets of gun laws," he noted, allow weapons to be bought more easily in some places and then brought to cities such as Chicago that have stricter laws. He's pushing for tighter background checks, among other things. "Police announced an $11,000 reward for information leading to the killer's capture and conviction during a Wednesday afternoon news conference at the North Kenwood park where Hadiya was shot.
" 'I want this closed now,' said police Supt. Garry McCarthy, who was among the police chiefs in Washington on Monday to meet with Obama on gun control. 'I don't want to wait.' "